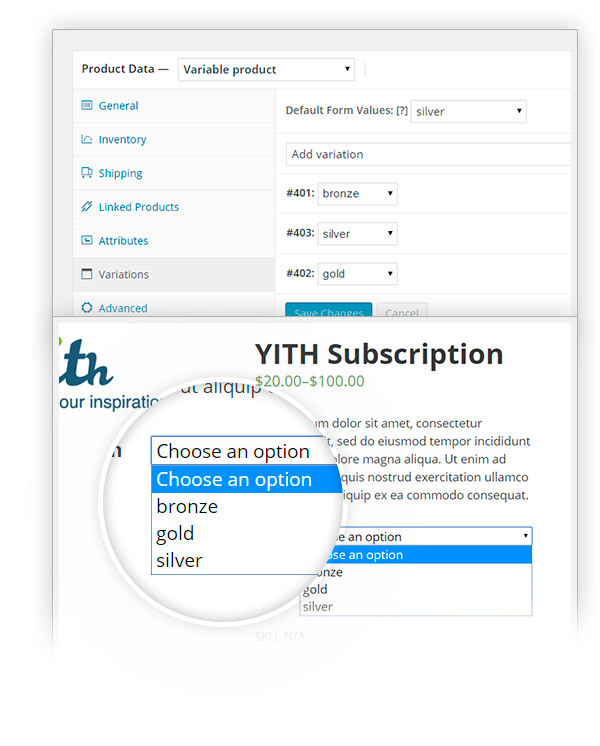 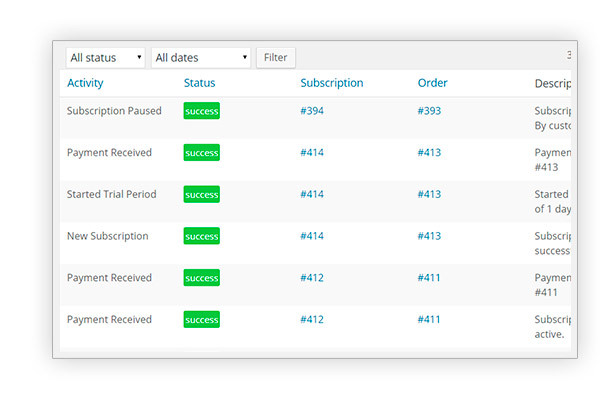 YITH WooCommerce Subscription Premium Extension: allows you to set up a subscription process for your products allowing you to receive scheduled and constant payments on a regular basis – think of online services like hosting, coaching, courses or podcasts. 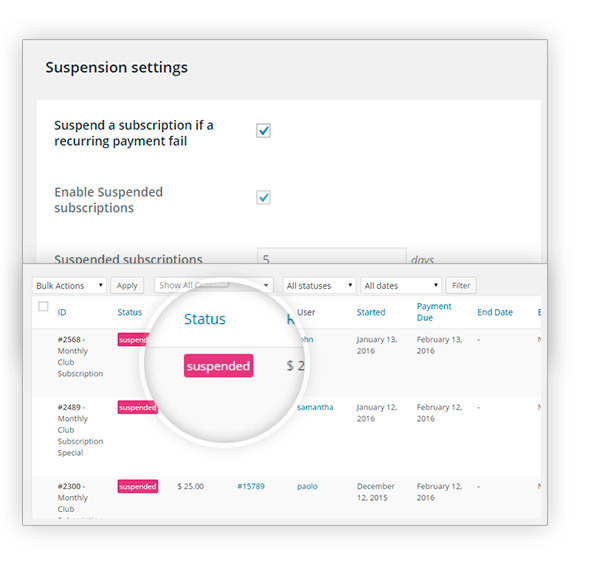 PayPal standard and YITH WooCommerce Stripe (premium version) are the only payment methods allowing you to automate payment of subscription periodic fees. 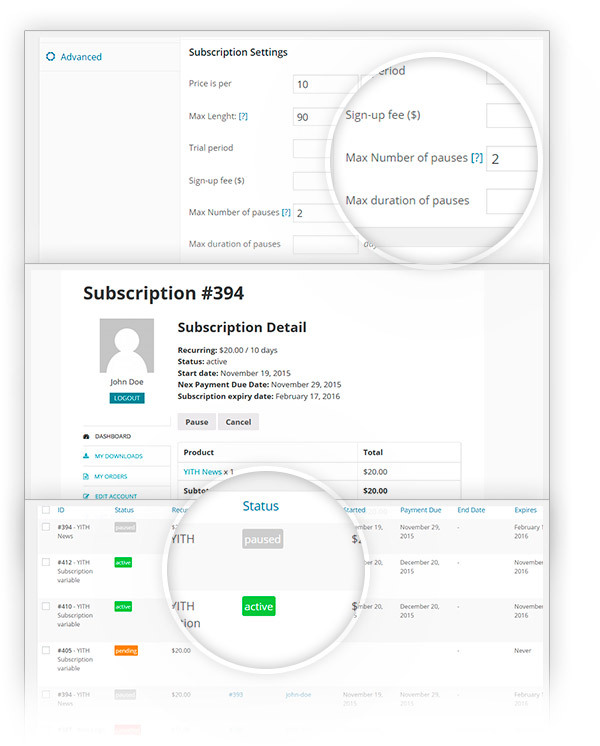 More than one subscription can be associated to the same user, yet, note, please, that in order to achieve that, users have to create one order for each subscription because the system used to integrate PayPal recurring payments does not allow multiple subscriptions for the same order. 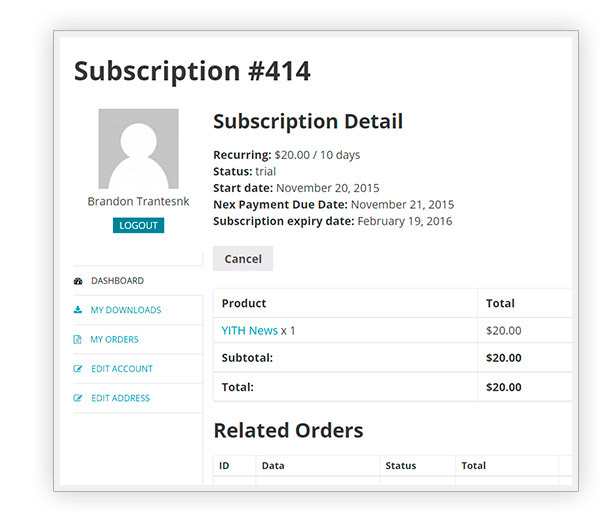 The date for the payment can’t be edited in any way and refers to the day when the first subscription payment occurred.